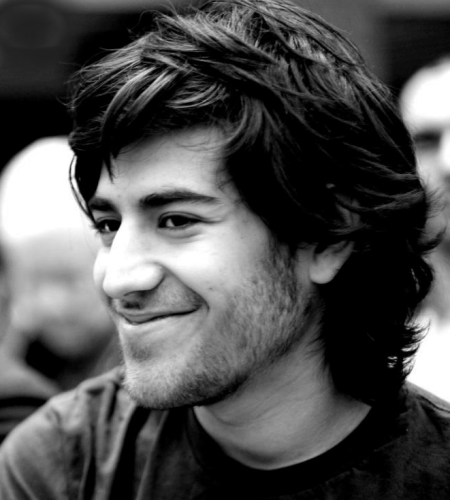 I write this post some days after knowing that Aaron Swartz, the genius behind RSS, Creative Commons and co-founder of Reddit, decided to end his life at 26. I was shocked to read some of his blog posts, in particular the "Sick" one, because almost all of the synthomps are mine too. I don't know if he was thinking at suicide, at the time he posted that. It's a thing which some of us must live with. So here's the three-quarters of the problems I share. Cold. I always feel cold; It 'something that annihilates you, makes you feel old and weak. Eventually prevent you from doing even the most ordinary, like exiting from the home. it's almost like the stomach problems in terms of effects (see below). Also in this case, it's a new that came in the last 2 or 3 years. I don't know if it's something related to a metabolism changing, but I think yes. Stomach. Yes, here I can use almost the same words as Aaron. "Huge pains grind through my stomach". All started in this way for me too, later in 2007, and still I'm struggling with this problem, aparently without a cause (not organic, at least). Food is always followed by pain, and often I can't sleep at night, waiting for stomach to calm down. From that moment, i've never been at the restaurant with the same mood nevermore. I'm afraid to go out for dinner because I already know that it will be a problem, with the friends or colleagues. I've experimented this particular problem in my last job. And this makes me angry and confused. At times the pain is excruciating and even after it goes I spend some time just reeling from it. Depressed mood: Here I can find adherently words to my mood and to some situations I've felt in some way similar to Aaron. "Surely there have been times when you've been sad. Perhaps a loved one has abandoned you or a plan has gone horribly awry. Your face falls. Perhaps you cry. You feel worthless. You wonder whether it's worth going on. Everything you think about seems bleak -- the things you've done, the things you hope to do, the people around you. You want to lie in bed and keep the lights off. Depressed mood is like that, only it doesn't come for any reason and it doesn't go for any either. Go outside and get some fresh air or cuddle with a loved one and you don't feel any better, only more upset at being unable to feel the joy that everyone else seems to feel. Everything gets colored by the sadness." Depression is not the main problem in my case, not as the sadness. In some cases I've heard the word "Adaptive depression". But the stomach problems sometimes fall me down to a state of idleness, as I have only to wait, and wait, that all passes away, meanwhile I can't do none of my things.. This page contains a single entry by Luciano published on January 28, 2013 4:15 AM. Italy's crucial vote (FT.com) was the previous entry in this blog. Movable Type 5.2 upgrade process is the next entry in this blog.